What looked like a season of opportunity ahead of Mark Dennehy’s teamturned into one of dashed hopes and dreams overnight, as incumbent starter Collin Delia signed a 2-year entry-level contract with the Chicago Blackhawks after an impressive development camp. Delia’s departure drastically impacted the projections for Merrimack- one of us (Ryan) had Merrimack projected 5th for Hockey East in his initial rankings. Since the Delia news, however, Merrimack fell to a consensus 9th in our rankings, ahead of only UNH and Maine. Merrimack still has good pieces returning to its squad in 2017-18, but without their anchor holding the fort in net, there is more question for Merrimack to answer than had been anticipated. 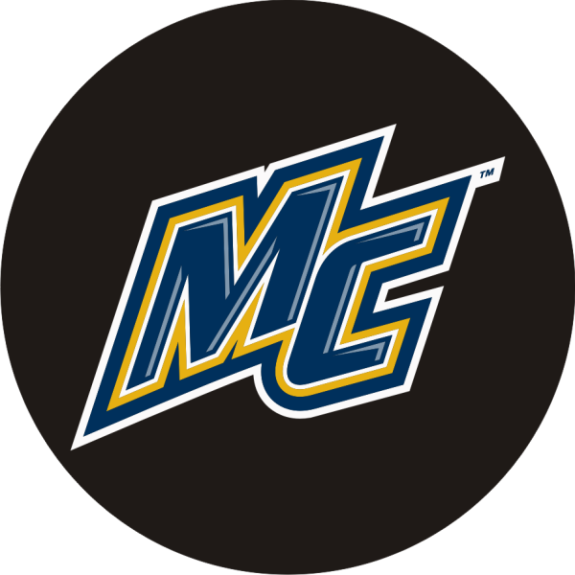 2016-17 Performance– Merrimack compiled an overall record of 15 wins, 16 losses, and 6 ties, and a conference record of 8 wins, 8 losses, and 6 ties. This was good enough to earn them a 7th-place finish in the regular season standings, their second straight season finishing 7th in Hockey East. Surprisingly, they had a strong season in terms of puck possession; their Corsi at even strength was 52.5%, good enough for 16th in the nation, although that tumbled a bit when the score was close to 51.7%, 24th-best in the nation. While they did a good enough job keeping the puck in their possession, they struggled generating offense, a trend that has become commonplace for the Warriors. They put up 1114 shots, which was 31st in the nation, but only shot 8.1% on those shots, tied for 9th-worst in the NCAA. Their powerplay was similarly underwhelming, scoring at a 15% clip, good enough for only 47th overall in the NCAA. Their offense was led by Brett Seney (10-21-31), Hampus Gustafsson (15-11-26), and Jace Hennig (8-14-22). Of those three top returning scorers, only Gustafsson is not returning for the 2017-18 season, which should bode well for a team looking to improve their offensive woes. The team also will lose the offensive contributions of Chris Leblanc (5-10-15, generated 56 shots on goal), and the defensive presence of Jonathan Lashyn (four-year starter). Defensively, the Warriors allowed 1068 shots, which was below-average compared to the rest of the NCAA (42nd overall), however they were buoyed by Collin Delia’s 92.7 save percentage. Their team overall save percentage is a paltry 90.6%, but Delia was far and away the best goaltender on their roster last season, so their overall numbers should be taken with a grain of salt. Merrimack’s penalty killing unit succeeded only 79.6% of the time, and was similar to their powerplay in terms of stacking up nationally, coming in at 45th nationally. Returning Players– Merrimack will be led next season by Seney, a 6th-round draft pick by the New Jersey Devils in 2015. Known for his blistering speed and wicked wrist shot, Seney has led the Warriors in scoring for each of the past three seasons. Rob Ricci was the last Warrior to lead the team in scoring for three seasons, although his were not consecutive (2005-06, then 2007-09). Even Merrimack legends Stephane Da Costa and Mike Collins only led their team in scoring two times; Seney has a chance to establish himself as an all-time Merrimack great this season. After Seney’s 31 points and Gustafsson’s 26, the only other 20-point scorer from last season is Jace Hennig, mentioned above. Hennig enters his senior season after posting his second 20-point season at Merrimack, and a new career high at that. He and rising-sophomore Sami Tavernier were tied for third on the team last season with 8 goals scored, and both will be expected to crack double-digits next season if Merrimack hopes to recover the offense lost with Gustafsson’s graduation. Defensively, Johnathan Kovacevic was one of the most impressive draft-eligible players in the entire NCAA last season, and he was rewarded by being selected in the third round, 74th overall by Winnipeg in the 2017 NHL Draft. Kovacevic put up an impressive 19 points his freshman season, fourth-best among Hockey East freshman defensemen. He will be the sparkplug for Merrimack’s back end this season, and will be aided by the steady hands of veterans Jared Kolquist and Marc Biega (both rising seniors). As noted, the Warriors were expecting Collin Delia to be their rock in net this season, but he chose to sign with Chicago after a strong development camp showing. Now, the Warriors head into the season with two goaltenders on the roster. Rising junior Drew Vogler is the incumbent with the most experience, playing in 18 games last season. Vogler was a heralded recruit when he arrived in North Andover, however his play has been a mixed bag of results. After a solid freshman season where he posted a 92.6 save percentage and a 1.96 goals-against-average in 16 games, Vogler sank to an 89.7 SV% and 2.85 GAA last season. He has shown the ability to succeed in the NCAA, and for that reason I expect will be the opening night starter for Merrimack. Incoming Recruits– Merrimack’s recruiting class for this season is on the smaller side, totaling six players entering the school. They are bringing in 3 forwards, 2 defensemen, and one goaltender. All three forwards should make impacts within their first two seasons. Logan Drevitch is the lone alum of the United States Hockey League, and he has been committed to Merrmiack the longest. Last season he scored 21 points in 57 games for two USHL teams. The two other forwards hail from Canada and played in the Ontario Junior Hockey League. Jackson Bales tallied 64 points in 51 games (28 goals), while Laine McKay scored 54 points in 52 games (22 goals). These two Canadians could be called upon early and often to try and rectify Merrimack’s scoring woes. The key to this class rests between the pipes, however. Logan Halladay, a six-foot goaltender from North Carolina, comes in with a wide-open opportunity to take the starting job from Vogler with a strong showing in the preseason. Halladay played for Bloomington and Tri-City in the USHL last season, though nearly all his games came with Bloomington. He managed a 90.8 SV% and 2.58 GAA in 34 games, He had the 15th-best GAA in the league, and the 17th-best SV%. Huskies fans could be seeing a lot of Halladay over the next three seasons if he takes the starting job and runs with it this year. Season Outlook– Merrimack’s outlook was much more promising with Delia in their goal crease. Without him, Merrimack fails to have consistent production on offense, on defense, or in net, and I believe they will struggle this season to compete with the rest of Hockey East. We have them 9th in our composite rankings, ahead of UNH and Maine, partially due to their retention of the majority of their scorers and partially due to our lack of faith in the coaching staffs of their neighbors to the north. The Warriors are always tough to play at Lawler Rink, but Merrimack’s offensive weapons are lacking and do not impose much of a threat to outscore their opponents, while their lackluster goaltending depth does not give any expectation that their offense can be bailed out on an off night. Unfortunately, the most likely result is more of what Merrimack saw when Delia was out of action last year, and another long season for Warriors fans.